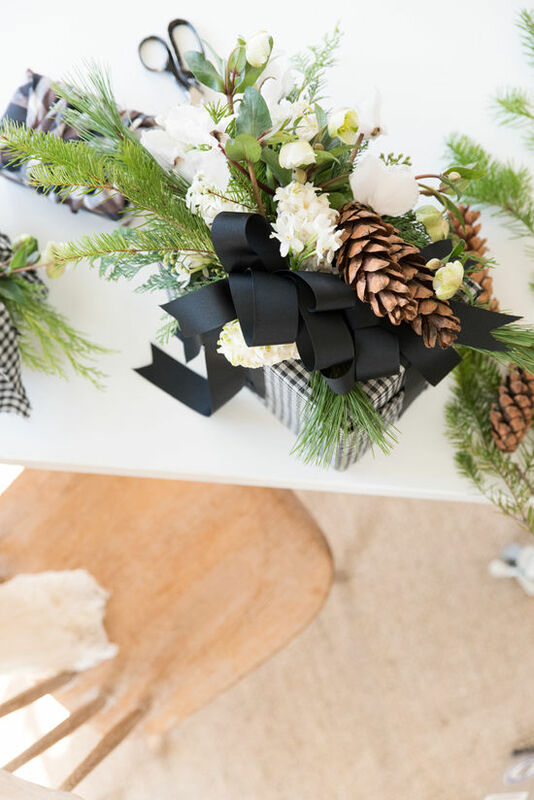 we’re feeling ready for the holidays over here! 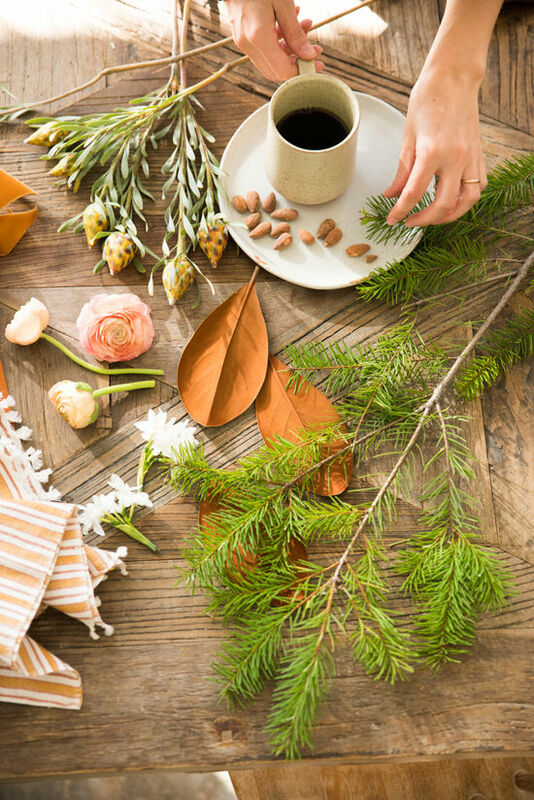 this time of year comes and goes so quickly that it’s nice to get a jump start on festive activities to soak up every minute of it. 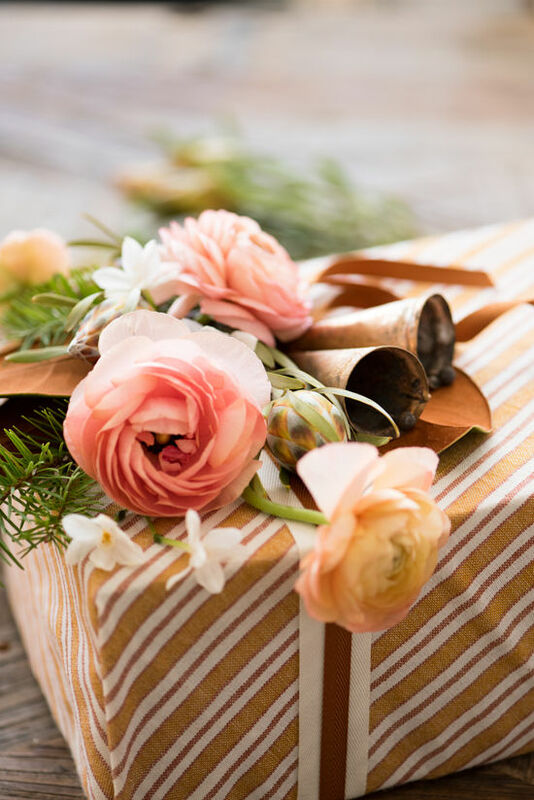 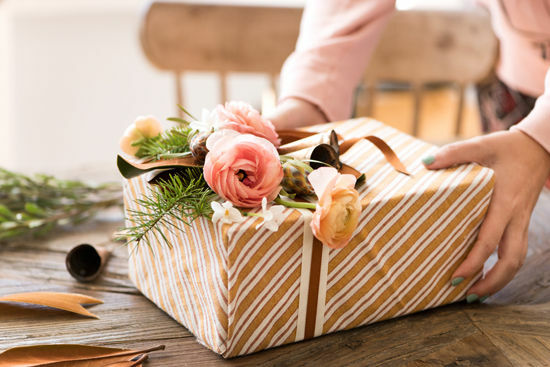 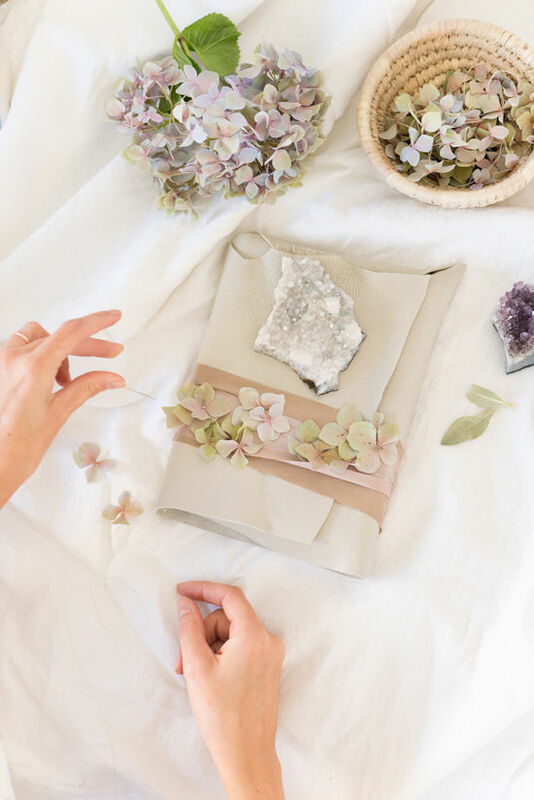 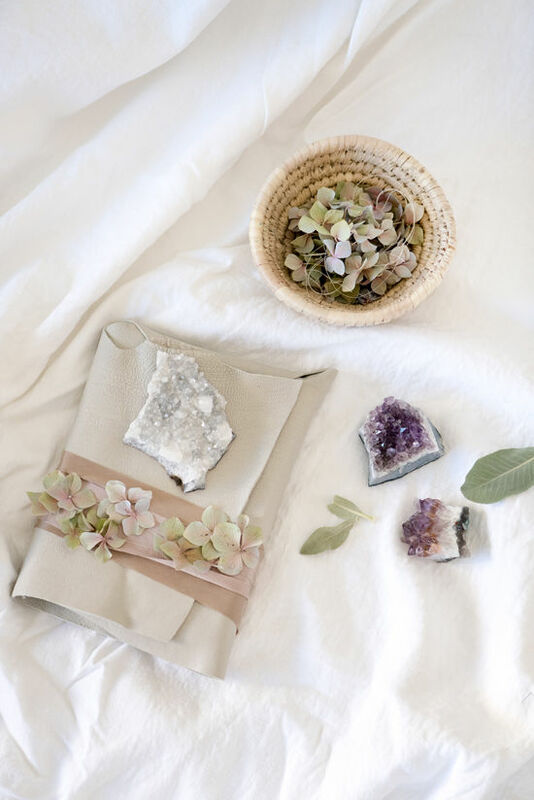 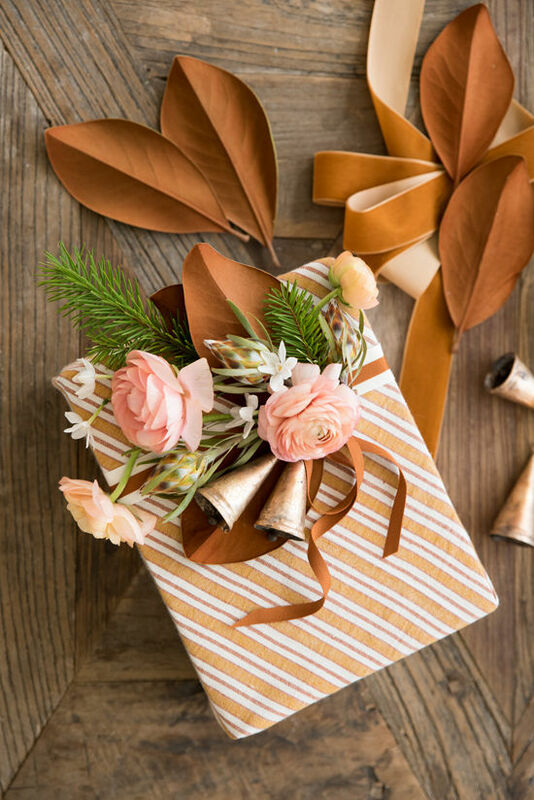 today we’re talking about gift wrapping techniques with and . 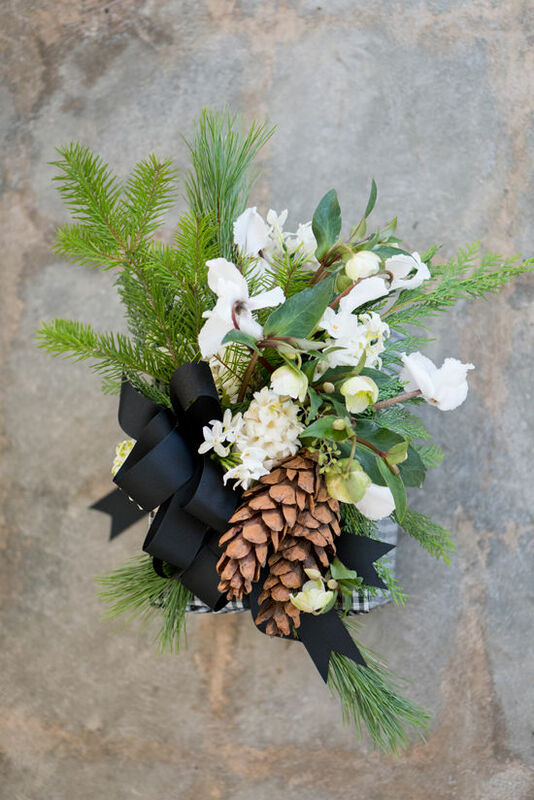 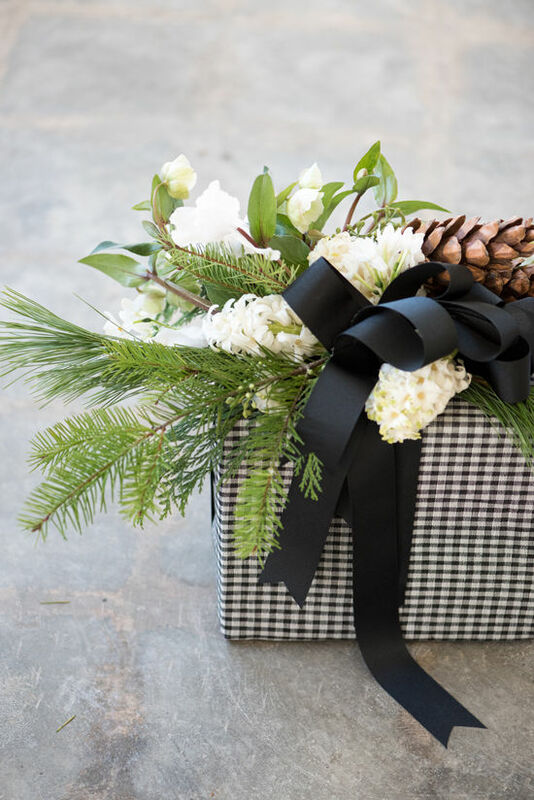 simone is a trusted resource in los angeles for specialty gift giving and gift boxes and kristen is our go-to floral genius. 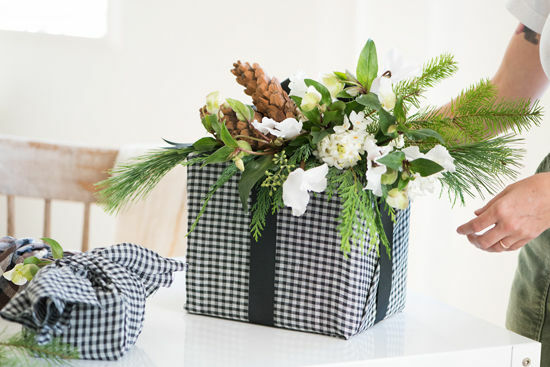 take it away, ladies! 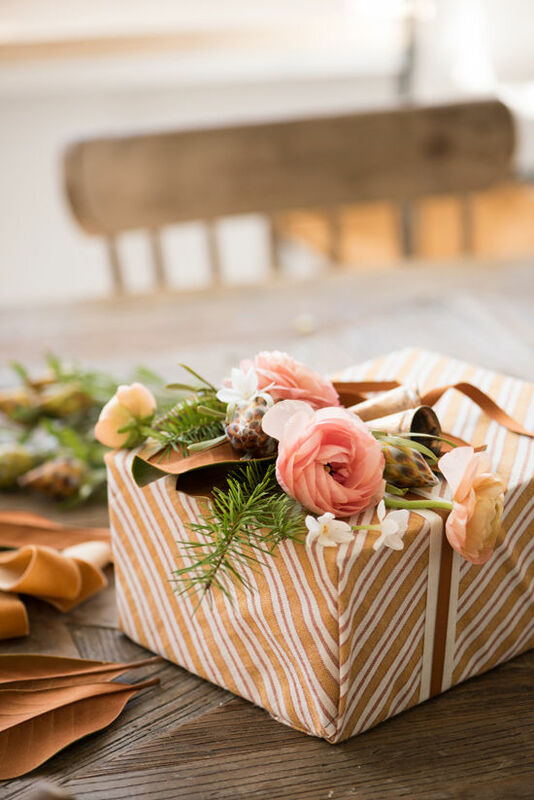 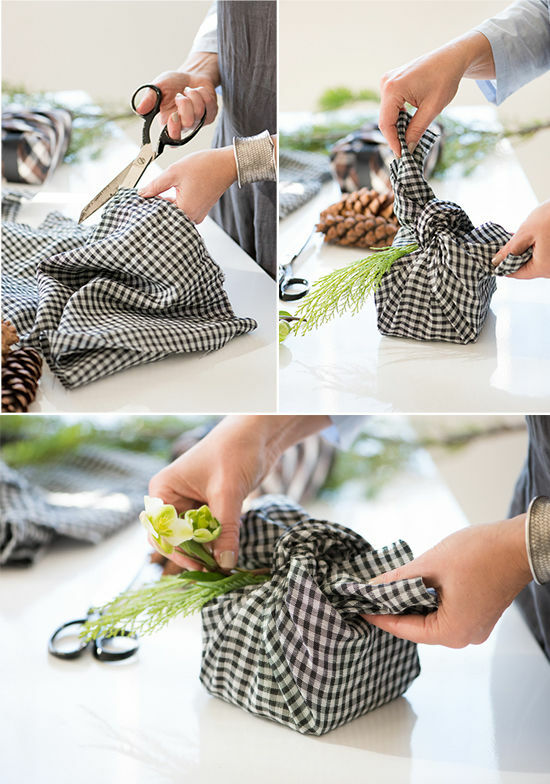 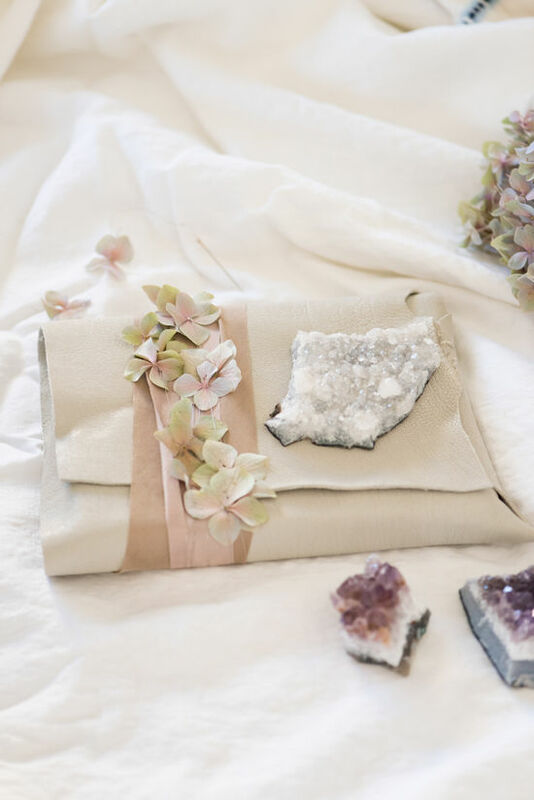 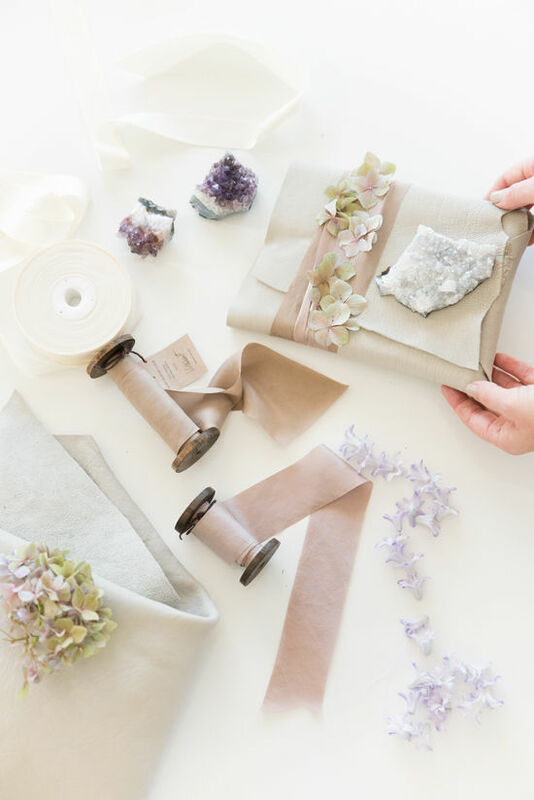 Fabric: I love the idea of wrapping packages in your favorite fabrics, or else a fabric you think the gift’s recipient will love. 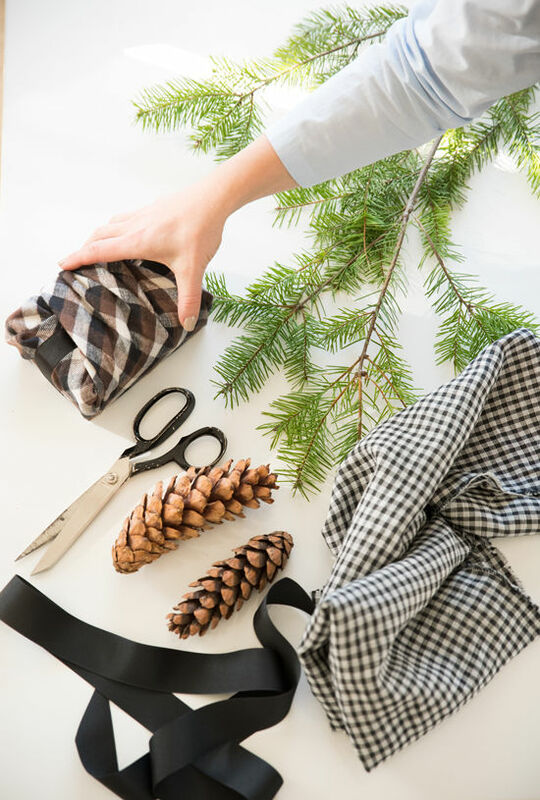 We used one of our favorite (which of course can be reusable) a crisply preppy gingham, a beautiful leather. 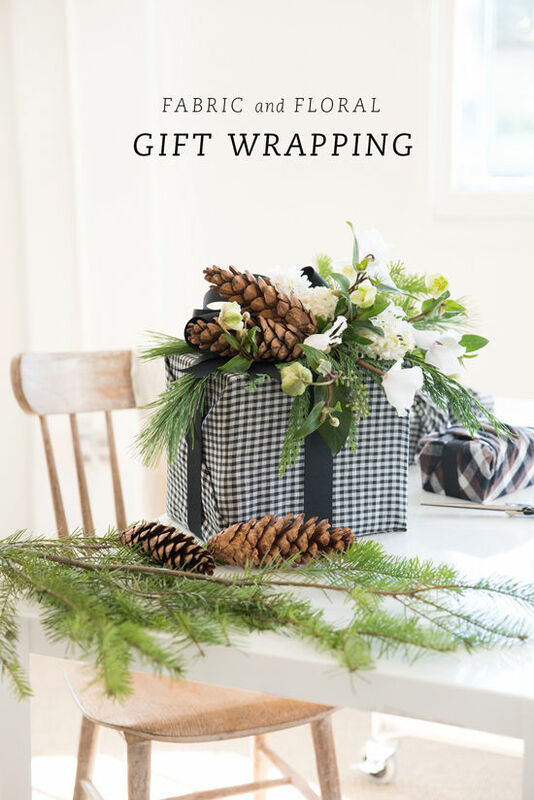 The idea of the wrapping itself being a keepsake piece really adds a nice layer to this.